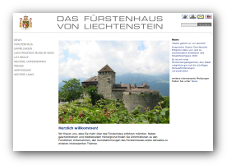 Liechtenstein has many official Internet sites introducing the country for external purposes. The following pages offer the principal entry points into the wide range of information about the country accessible via various online offers. 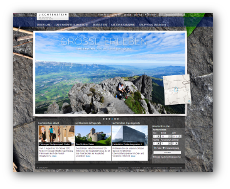 Liechtenstein.li is the chief starting-point for all visitors wishing to find out about Liechtenstein. As well as providing statistical information and key political dates, displays also cover the country’s economy, sport, and culture. For those working in the media, there are press releases and subject clips. 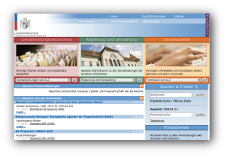 On its Internet page, Landesverwaltung Liechtenstein provides much information for all departments as well as contact addresses; in addition, many forms can be downloaded and even completed online. Using the menu on the start page, visitors can easily access the relevant sub-pages for each department. 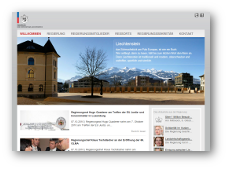 The government of the Principality of Liechtenstein is the country’s supreme executive organ. A collegiate institution comprising the head of government and four government councillors, it is answerable both to parliament (the Landtag) as supreme legislative organ and to the Prince as head of state. fuerstenhaus.li provides a glimpse of the manifold activities performed by and the art collections belonging to Liechtenstein’s royal family. Also of interest is the family tree, with a genealogy that can be traced back to the 16th century and a page devoted to each prince since Johann Adam Andreas, detailing his particular achievements. 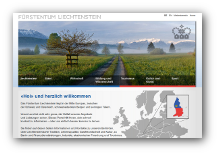 Liechtenstein Tourismus has a web presence displaying accommodation possibilities, information about public transport, and tourist destinations. Atmospheric images will nurture a desire to visit the country’s most beautiful sights. And a “Shop” offers a wide range souvenirs.